MANCHESTER, England (CNS) — Cardinal Vincent Nichols of Westminster has welcomed a U-turn by the British government over the resettlement of child refugees. He said he was “very happy” with a May 4 announcement by Prime Minister David Cameron that the U.K. will accept an unspecified number of unaccompanied children who arrived in the European Union from Syria. 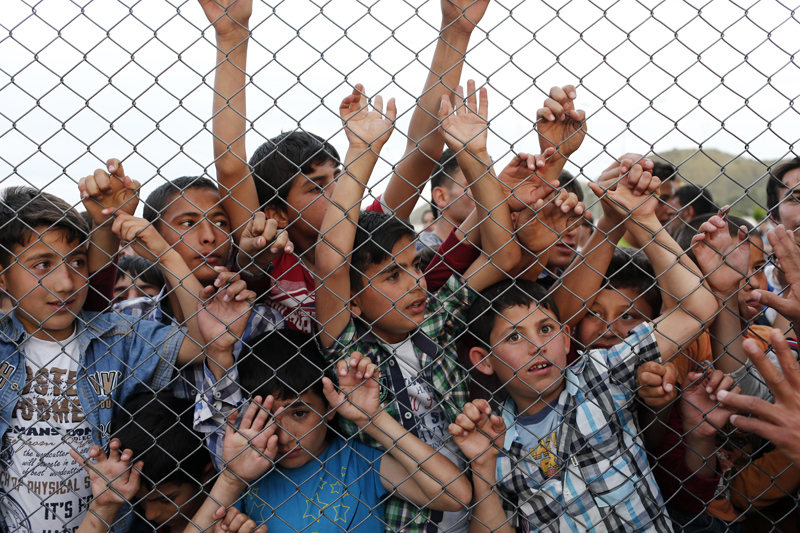 Under pressure from Parliament, Cameron said the U.K. would not only take in 3,000 children from refugee camps in the Middle East, but that children registered in Greece, Italy or France before March 20, the date when an EU deal with Turkey to return migrants took effect, would also be eligible for resettlement in Britain. In a May 4 statement, Cardinal Nichols, president of the Bishops’ Conference of England and Wales, expressed satisfaction that the government had struck the right balance. “While it is right to keep silent when children are asleep, it is never right to stay silent when they are perishing at sea or at risk in hostile camps,” Cardinal Nichols said at the May 2 Mass. At the Vatican, top officials of the Council of European Bishops’ Conferences, known by the acronym CCEE, met with Pope Francis May 2 and heads of various dicasteries during their May 2-4 visit to Rome. The presidency members — a president and two vice presidents — were ending their five-year term this year. Speaking to reporters May 3 at the Vatican, Hungarian Cardinal Peter Erdo of Esztergom-Budapest, CCEE president, said individual countries are facing the challenge of the immigration and refugee crisis. While the European continent as a whole must also come together to respond to the dilemma, each nation is in its own unique situation, which requires localized responses, he said. Contributing to this story was Carol Glatz in Vatican City.